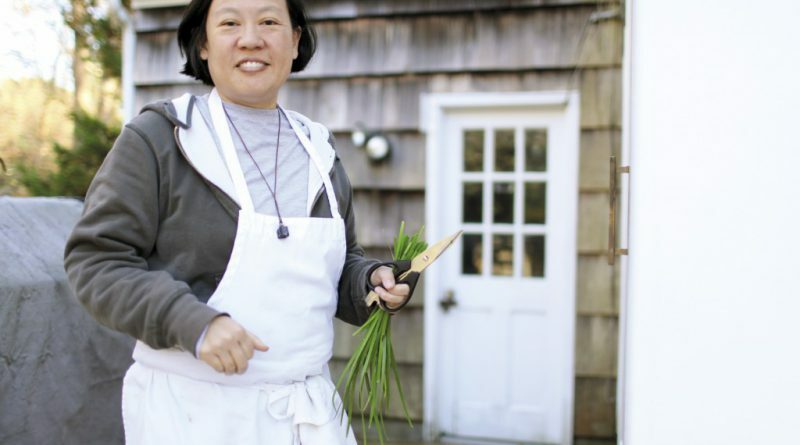 Anita Lo, chef and owner of Annisa, is one of the most respected chefs in the country, earning numerous accolades for her inventive contemporary American cuisine. In 2000, Lo opened Annisa, an intimate restaurant in Greenwich Village. In June 2009, a fire destroyed the restaurant. While plans for rebuilding Annisa got underway, Lo appeared on the television show Top Chef Masters, where she finished fourth out of twenty-four chefs. In April 2010, after a complete renovation, Annisa reopened. In October 2011, Lo released her first cookbook, Cooking Without Borders, which highlights her passion for bringing multicultural flavors to her American kitchen. 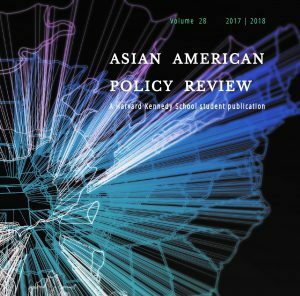 Rebecca Yang was born and raised in Ithaca, New York, and is a 2014 Master in Public Policy candidate at the John F. Kennedy School of Government at Harvard University. After volunteering in China in the village of her late grandfather, she established a foundation that supports rural education and environmental protection in China. While studying at Georgetown University, she served as a research assistant at the Library of Congress and interned at the Department of Commerce and the Senate Foreign Relations Committee. She is a member of Alpha Sigma Nu, the national Jesuit honor society, and Pi Sigma Alpha, the national political science honor society. Rebecca Yang interviewed Anita Lo on 4 January 2013. I grew up in Michigan. My mother was Chinese Malaysian, from Kuala Lumpur, and my father was from Shanghai. My father died when I was three, so I grew up mostly with my stepfather who was from Denver. His family was German. Both my mother and stepfather worked, so we had nannies to take care of us. When I was fifteen, I left to go to high school in Concord, Massachusetts. I then went to college at Columbia here in New York, where I majored in French. I came from a big foodie family, so I was already enamored with all things culinary. The summer after my junior year in college, I lived in Paris and took some cooking classes and fell in love with it. I spent three summers in France between high school and college. Then after college, I worked in New York at Bouley, and then after that I went back to Paris to get my degree at the Ritz-Escoffier. That time, I stayed a year, and after I got my grande diplome, I worked in several restaurants there. When I returned to New York, I worked at Chanterelle, Can, Maxim’s, and Mirezi. I opened my own place, Annisa, in 2000. Did the immigrant experience of your parents influence you and your cooking? I get inspiration from everywhere. Much is from childhood. I grew up in a very multicultural environment. We traveled a lot, often just for food. My food memories sometimes inform my cooking. My time in France was very valuable and gave me the technique and the foundation for my cuisine. I still come back to my experiences there. Right now, I have a dish on the menu inspired by classic French cuisine: it has duck confit and a foie gras fat hollandaise. I’ve traveled a lot. I love Japanese cuisine. I take a lot of direction from there. I learned about Japanese cuisine just from eating out and reading. The cuisine really reaches me because it’s just about the food and the contemplation of an ingredient in its prime, at the peak of its season. What is it like being a female chef in a predominantly male industry? Do you plan on staying at Annisa or working on other ventures? Annisa is my baby. I’ve had it for twelve years, and I definitely plan on staying here. I don’t know if I’ll be working on other restaurant projects. If I were to work on another restaurant project, it would have to be largely driven by one of my managers—either front of the house or back of the house—I’d like to help them open their restaurant and be involved that way. But it’s hard to open a restaurant in New York City. It takes enormous sacrifice and dedication. When we opened Annisa, we didn’t pay ourselves for over a year. It was really hard. We made really horrible salaries for another five years after that. Is it difficult being a chef in New York? I got lucky. Yeah, it is very hard. When I look at the numbers, I don’t think people understand how much capital it takes to run a restaurant. On the other hand, it’s a great place to be for ingredients and originality. I’ve got farms and the ocean right here. And it’s very inspiring to be around other great restaurants. It’s a great city to eat out in and to be around and learn from other chefs. And there are so many different cultures here as well. I can go eat at a Senegalese restaurant, or you name it. That’s exciting, and that makes it easier. I always try to go out to all the new places, but I love L’Artusi, which is right in my neighborhood. It’s an Italian restaurant run by Gabe Thompson, and it’s really comfort food for me. And there’s Jewel Bako in the East Village, it’s a sushi bar—their omakase is awesome. What do you think about sustainability or food policy in this country? It’s very important to me to be a responsible steward of the ocean as I’m an angler. Sometimes, we make mistakes. It’s really hard to say. I got an e-mail the other day saying: “Where is your meat from, where is your seafood from, I can’t eat there unless it’s local.” What does local mean to you? My focus is multiculturalism, which I think is also important. It’s important to open people’s eyes and see other cultures, and I think you can do that through food. And sometimes to do that you have to get something flown in from Japan. But I try to buy the best. The best is seasonal and much of the time local. I try to buy the best from local sources, but sometimes the best is from farther away. I feel that there are a lot of food police out right now around us. But I still want my Bordeaux from France. Have you found that consumer tastes have changed over the past ten years, and has that changed your approach at all? I worked with David Bouley before they even had the term “farm to table,” and we were buying food from local farms. I don’t like to be swayed by popular demand. I cook because it’s a passion for me. I cook because it has meaning for me and hopefully people like it. I’ve got a really tiny restaurant for that reason. Has New York City Mayor Michael Bloomberg’s food policies (such as no trans fats in restaurant food and the soda ban) affected your restaurant at all? If so, do you think they have been harmful or beneficial? I think they’re absolutely beneficial. High-end restaurants are never going to be using trans fats—that just doesn’t happen. There’s no way. That affects fast-food restaurants and lesser restaurants. No one [in higher-end restaurants] is using that kind of fat, and no one was ever using that kind of fat. That doesn’t affect me at all. What do you like to cook for yourself at home? I don’t cook in my apartment. I have a house in Long Island, and that’s where I cook. I tend to warm up soup here. I’ll make a batch of soup and freeze it. Oftentimes, I’ll have a bowl after service in my apartment. If I’m on a healthy kick I’ll sometimes eat arugula salads with stuff in it. When I’m not on a healthy kick, I’ll eat a bag of Doritos or whatever—I’m not a food snob. I don’t have a favorite thing to eat. I’m an omnivore, and I like to try new things. I like to be challenged. I find it exciting to go try new places and new things and travel. Is cooking a stress reliever or stress inducer? It can be both. It depends. If you’re cooking at home, that’s definitely stress relieving. If you’re cooking in a restaurant on the line, and you get in the zone, and you’re going fast, it becomes a dance almost, and it’s exciting, it’s challenging, you’re multitasking twelve things, and to see it all come to fruition in the way that you planned is—not really a stress reliever—but certainly satisfying. What is one kitchen utensil you can’t live without? There’s a spoon that I really like, that I have, that I use on the line. I love plating with spoons, I like cooking with spoons. I like the feel of this one spoon that I have. It was in the restaurant when I took it over. There was a lot of equipment in the restaurant when we took it over, and this spoon was one of them, and it says “Diva” on it. It’s totally opposite of who I am, so I liked it. Do you have any advice for aspiring chefs? I think it’s important to find a restaurant where you really love the food and where you’re going to be happy, and once you do that, you need to stay there for at least a year, and then you can go on to other things. But you can’t hop from place to place. You’re going to ruin your ability to find work, and you’re not going to learn as much. To really understand a restaurant, you need to be there at least a year. And that way you increase your chances of being promoted. Most people hire from the bottom, in fine dining at least. How was your experience on Top Chef Masters? [Laughs] Oh, that was silly. It was exciting. It was great to be with all those chefs. A lot of those chefs are from a generation before me, chefs that I looked up to for a long time when I was a cook. It was great to be cooking with them. That was really amazing, and it was great to see that no one was really crazy competitive. It’s about the food, it’s about sharing, and I think that’s what food really should be about. Cooking is not a competition.